Elite Forces Survival Waterproof And Stormproof Matches - 40 Count | BUDK.com - Knives & Swords At The Lowest Prices! 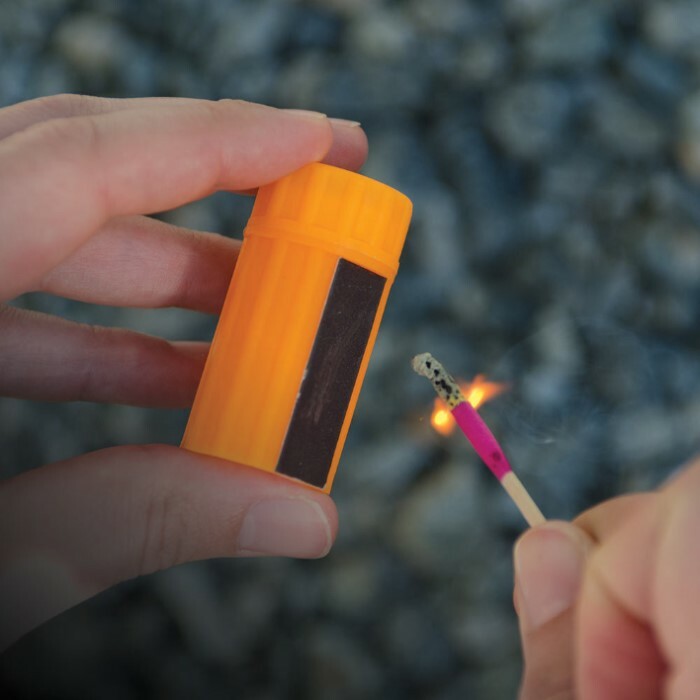 These superior Elite Forces Survival Waterproof And Stormproof Matches burn in the strongest wind and rain situations. 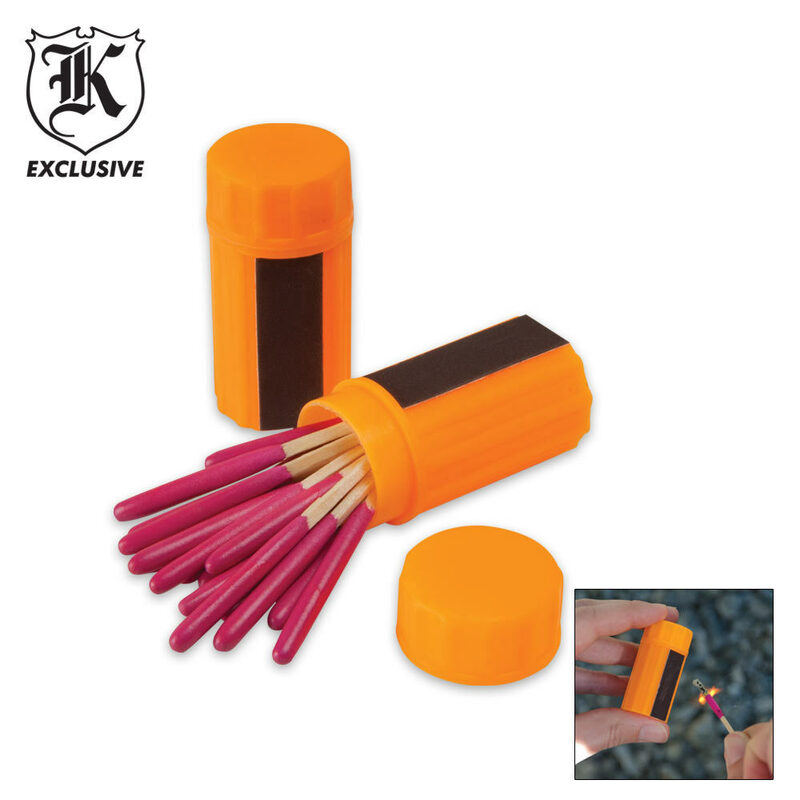 The matches are wax-coated to make them waterproof and come in a durable, bright orange canister with a built-in striking paper. This is a package of two containers with 20 matches in each. They're perfect for camping, hiking, and emergency survival situations. Don't get caught out without them! Honestly they are decent matches for 3 dollars. They do burn quickly and put off a lot of fumes. They burn very hot and are extremely wind proof. Got this in the SHTF Box. they look nice, but are not water proof, the plastic tub does not even screw on or seal. the striker on the side fell off two of them. spend your money on sparklers. Let's be honest; there is a lot of garbage on this website with some gems thrown in. These are not gems. The striker it comes with is useless, and if you can get them lit, they mostly just smoulder without putting out much of a real flame. There are similar ones to these on Amazon in a green plastic container that cost a little more but are leaps and bounds ahead of these. Don't waste your money. Not What I Expected , Not a Real Forceful Burn . I beleave Regular Kitchen Matches, Waxed , like they taught in boy Scouts . burned better . Good price for two sets. We bought them to go in survival kit. Great addition. Very cheap matches. Given the length of the match head, I expected these to be longer but there is only about a half inch of stick beyond the head. 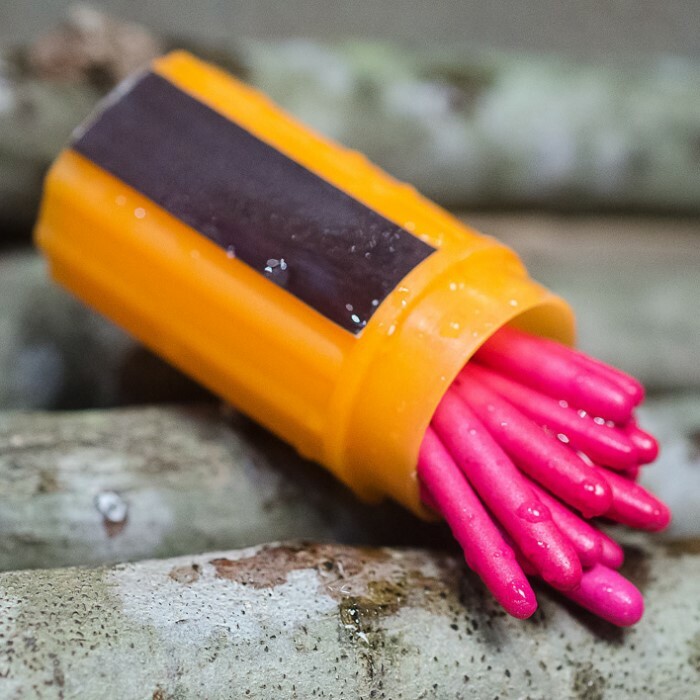 The match burns out in 2-3 seconds after ignition and the leftover head and wood beneath the head do not ignite as a normal match would. When the head on these burns out, that's it. You better be able to light a fire in less than 3 seconds. Otherwise, these are a complete waste of time. You'd be better off just buying a waterproof canister and putting regular matches inside. Great 2 piece set of storm proof matches. Definitely a great addition to any survival/camping kit. good price,great product. a must have for a camping or survival kit.